Two published works chronicle the life, labors, and learnings of a true servant-leader. 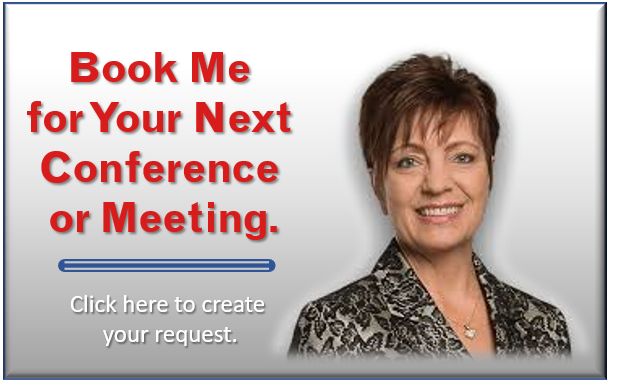 Power-packed sessions on the call to lead, grow, and inspire diverse, global audiences. An advocate for Active, Guard, and Reserve Military, Veterans, and their Spouses and families. A Timeless American Story of Determination, Perseverance, and Faith. Raised in Central Minnesota, Denise Jelinski-Hall attended a one-room country school through fifth grade and never dreamed of opportunities beyond her rural community. A chance observation by a member of the Minnesota Army National Guard changed her life forever: “I see so much more potential in you, Denise. 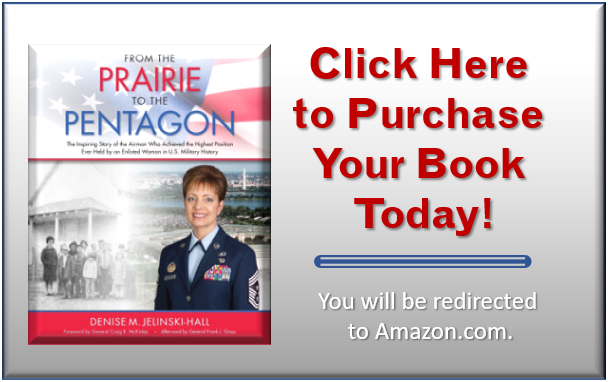 Why don’t you join the Air Force and get out of this town?” Through hard work and determination, Denise rose through the ranks of the United States Air Force, ultimately accomplishing what no other enlisted woman has achieved to this date. This is a story of an American woman’s incredible journey that has never been told before because her accomplishments had never before been achieved. THE INSPIRATIONAL STORY OF A YOUNG GIRL'S JOURNEY FROM THE FAMILY FARM TO A SEAT AT THE TABLE WITH THE MOST POWERFUL CIVILIAN AND MILITARY MEN IN THE WORLD.